Jason Crane interviews the members of the Respect Sextet. 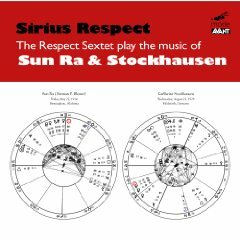 Their new album, Sirius Respect (Mode, 2009), explores the music of composers Karlheinz Stockhausen and Sun Ra. Formed nearly a decade ago at the Eastman School of Music, the Respect Sextet combines freewheeling improvisation with driving rhythms and a sense of humor. The members of the band have wide-ranging musical tastes and a fearlessly collaborative aesthetic, which leads to one-of-a-kind performances. In this interview, the members of Respect talk about the formation of the band, how they approach performance, and the use of humor in their music. Find out more at RespectSextet.com.